Today is the beginning of our “A Southern State of Mind” series! Every now and then, I will highlight a classic Southern city or town. For each place, I will give you the insider’s scoop on where to visit, where to eat, and the history of that place. Originally I was born in Killeen, Texas, but have called Winston-Salem, North Carolina my hometown ever since I was two months old. So, what better way to get this series started than with Winston-Salem? Winston-Salem, commonly known as the “Twin City,” was originally two separate cities, Winston and Salem. In 1753, the Moravians, a religious group originally from Eastern Europe, traveled from Pennsylvania to the central portion of North Carolina. They settled on more than 100,000 acres and called their new home the Wachovia Tract. Within this tract, in 1766, the Moravians established the town of Salem. This group of people quickly pioneered ways in the arts, culture, and innovation. Because of their highly skilled craftsmen and artisans, the town of Salem became a thriving and sought-after trade center. In addition, Salem’s manufacturing skills played a pivotal and prominent role as a supplier during the American Revolution and the Civil War. At the same time, a similar Southern industrial center was being formed, just north of Salem. The city of Winston was established in 1851 in honor of Revolutionary war hero and legislator, Major Joseph Winston. But it was not until after the Civil War that the city of Winston was known as a bustling industrial center. With the help of entrepreneurs and business tycoons, R.J. Reynolds and the Hanes family, Winston soon emerged as a national leader in tobacco and textile manufacturing. The city of Winston and the town of Salem were both successful places on their own and pioneered ways in innovation; however, by 1913, it was clear there was more to be gained from uniting the two cities than remaining separate. The city Winston-Salem was created shortly after and today remains true to it’s independent and innovative roots. Other entrepreneurial successes and big name companies call this Southern city their home, including: Piedmont Airlines (now US Airways), Krispy Kreme Doughnut Corporation, T.W. Garner Food Company (makers of Texas Pete hot sauce) and Goody’s headache powders. Nicknamed “the City of Arts and Innovation,” Winston-Salem also became home to the first Arts Council in the United States and created the model for Arts Councils nationwide. 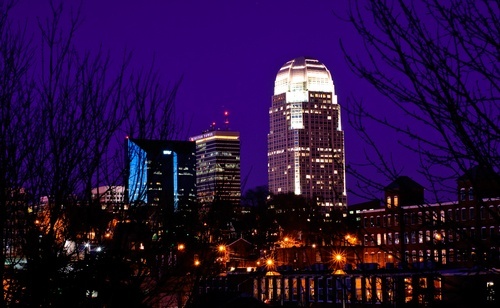 Today, Winston-Salem is the fifth largest city in North Carolina and is home to six colleges and universities including Salem College, the longest, continuously running women’s college in the U.S. as well as Wake Forest University and Winston-Salem State University. Check back tomorrow and see the classic spots you need stop by when visiting Winston-Salem! Trust me sweetie, “please” and “thank-you” can go a long way. Never underestimate the power of using manners. Growing up, Moma taught me to always be respectful, thankful, and how to act in public. In addition to having manners grounded in them by their Moma and Daddy, Southern belles take cotillion classes where they learn belles and manners go together like biscuits and jam. 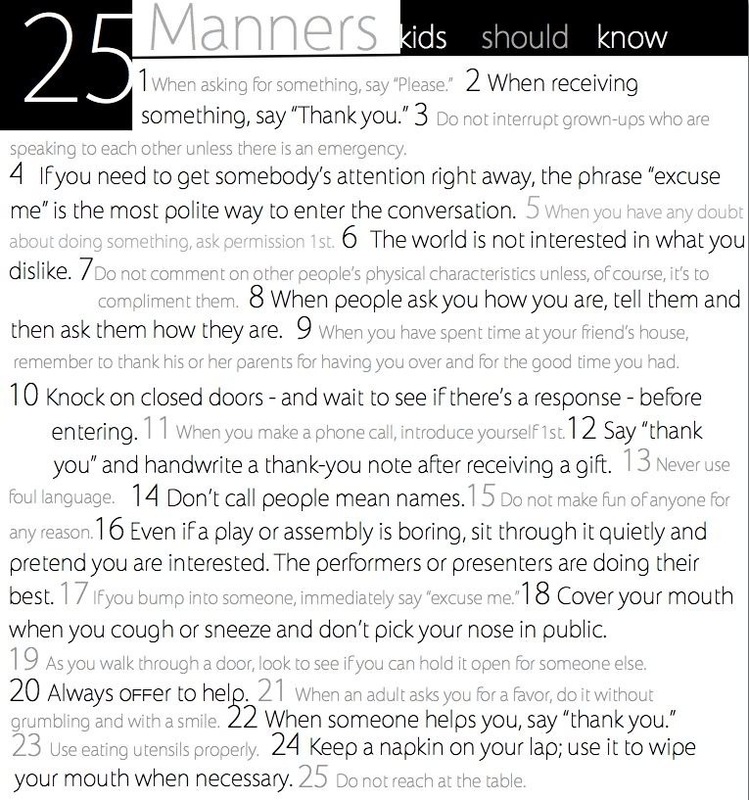 The list of the 25 manners below are some of my favorites! What are some manners your parents taught you growing up? Admit it, we all have those colors we look great in. Then, there are the ones we should stay away from. I stay away from darks, because of my blonde hair. Hopefully the tips below will help you decide what colors will make you shine and be a fabulous Southern belle! 1. Choose the right colors for your hair color. Blondes look great in warm and bright shades such as yellows, oranges and rusts, as well as tans and taupes. Brunettes can wear a wide variety of colors, including greens, blues, oranges, chocolate browns and pinks. Redheads look best in browns and oranges, as well as taupes, ivories and greens. Those with gray hair will look good in bright colors such as red, rose, plum, purples and berry, and jewel tones, such as bright blues, clear greens and bold golds. Black and a real navy blue look good, but stay away from grays and pastels, beiges and tans. In general, choose bold, bright colors to wear near your face. 2. Test your underlying skin color. 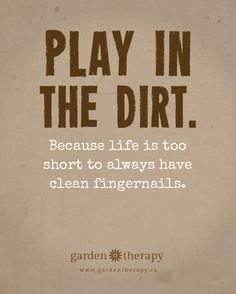 Pinch the skin on your earlobe, the back of your hand or the tip of your finger. The skin color you see for the following few seconds is your underlying skin color. If you see blue, pink, red-violet or rosy tones, you’ll look best in cool colors. If you see peach, golden, bright warm red or coral tones, warm colors are your best choices. 3. Compare colors against your skin and hair. Choose a variety of different colored fabrics. You want to select some that are warm, cool, muted, dark, light, and clear so you can test each against your skin and hair. In a space that is well lit by natural light, stand in front of a mirror and hold the colors to your face one by one. Select the colors that make you look healthy, your eyes sparkle and your skin glow. Avoid colors that make you look sallow, washed-out, tired, pale or otherwise unhealthy. 4. Wear colors that give you a monochromatic look. A monochromatic or single-toned look is best achieved by choosing colors in the same shade as your hair. It will make you look taller and slimmer. This look is more suited for non-gray hair colors. Blondes should wear yellows, primroses, or creams. Brunettes should choose chocolate brown. Redheads should choose rusts or orange. It’s Southern hospitality series day! Below are some tips to help translate tricky dress codes. As always, remember pearls go with anything! Black Tie Optional: Black tie is only optional for men (Sorry ladies). Women should invest in a floor-length gown in a dark hue. Keep accessories simple with a small clutch and some strappy heels. Cocktail/Festive Attire: Wear an above-the-knee dress or skirt. Cocktail attire sometimes implies you will be standing…for a long time. Invest in a good pair of kitten heels or flats. Fun tip-during the holidays, this can imply wearing Christmas sweaters…heavens to Betsy! Southern belles don’t wear tacky Christmas sweaters! Business Casual: Look professional, but not too corporate in a knee-length dress. Carry a structured tote with sport-demure peep-toes. Keep accessories simple and wearing a watch never fails. Garden Party: Appear ladylike without “glistening” in an outdoor setting. Some options include an A-line, tea-length dress in lightweight cotton. Wear wedges and finish with some sparkling jewelry. Come as You Are Party: Try a little black dress number. Dress it up or down with a few key accessories, such as a bold necklace or a bold pair of earrings. Here are some tips that can help you decide when the right time to arrive to a certain function is. The general rule of thumb is arriving on time to arriving 15 minutes late. It’s rude to arrive early or to arrive later than 30 minutes. No matter who you are having lunch or dinner with, it’s disrespectful to arrive more than five minutes late. Try to arrive at least five to 10 minutes before show time. Arrive at least 10 to 15 minutes early. If you arrive after the bride’s and groom’s mothers have been seated, come in the side aisle and sit in the back. If you’re so late to the point where you are walking down the aisle with the bride, wait outside until her processional is under way. Usually people are invited to come and go at these events, so a delay of 10 to 15 minutes is fine. Always arrive on time. The reasonable arrival time is within eight minutes of the appointed time. Arrival time is less strict when the invitation clearly states the event is an “open house.” In this case, it is best to arrive no later than within an hour of the ending time. Have you ever been planning a party and have no clue when to send out the invitations? They can’t be sent out too early or sent out too late; they have to be sent out at just the right time. Sounds kinda like the three bears, doesn’t it? Hopefully, the list below will help give you an idea of when is the best time to send out those invitations. Today is the first day of our Southern Hospitality series! Every Tuesday and Thursday in August, Country Belle Chic will have a featured blog post on Southern hospitality. Both of those days will deal with the same topic, such as party etiquette (hint, hint) one week, setting the perfect table the next, etc. Grab your notebooks and your napkins, because today I’m going to teach you how to fold a napkin into a bow-tie! This bow-tie inspired napkin is perfect for any formal dinner or just a picnic out in the country! 1. Lay the napkin flat and fold opposite sides inward to meet in the center. 2. Fold at the center to make a narrower rectangle. 3. Fold the short ends back to meet in the center. 4. Tie in the middle with a ribbon. Secure in back with 3/4 inch double-sided fabric tape. Hey y’all! For my birthday yesterday, my Southern Moma gave me a book on Southern hospitality tips. From party etiquette to fine dining, this book covers it all and gave me an idea for a next blog series. Throughout August, I will be writing posts on Southern hospitality. So, sit back, relax, and learn how you can be a Southern belle when it comes to entertaining company and it all begins tomorrow with some party etiquette. Stay tuned!